As a transplanted Brit in America, I’m having something of a hard time getting my head around this whole Late Night debacle. Unlike most American television, late night talk shows – the Conans, the Lettermans, the Carsons (he’s the one who’s dead, right?) – never really made it out to the rest of the world. The first, and biggest, reason for this is that the shows tend to be vehicles for movie stars to promote their latest project: movies that probably have different release dates outside the US. Watching Ben Stiller talk about a movie that we won’t be able to see for six months isn’t so much entertaining as annoying. The second reason is that, to my eye and ear at least, most of the shows are astonishingly unfunny. I mean, really. The men are paid millions – tens of millions – of dollars and given armies of writers to be hilarious and yet they still have to hire a sidekick to laugh at their punchlines. Hell, one of them – is it Leno? – even has a drum rimshot to telegraph when we’re supposed to laugh. It’s about as pathetic as me hiring some guy to add a ‘LOL’ comment to all of my posts on TechCrunch. Which come to think of it isn’t a bad idea. But still, I live in America now, and I’d be remiss if I didn’t acknowledge the most important cultural rift in the country’s history since the great Cheersquake of ’83. In particular I’d be doing the world a disservice if I didn’t respond to the growing number of apparently sane commentators who are urging Conan O’Brien to take his act online. In his open letter, Louderback adds that “the [online] space has seen a 35% average increase in advertising spending in 2009. (Just think how many cigars that would buy for Triumph The Comic Insult Dog).” Bilton meanwhile accepts that “the expenses associated with producing a high-quality show needed to attract celebrity guests quickly add up show” but points to Seth McFarlane as a star who has managed to convince advertisers to move their dollars online. These are arguments we’ve heard many times before. Television is a sinking ship! The Internet is the future, and smart talent will jump aboard and reap the spoils. We’ve heard it for newspapers – journalists should create blogs and become their own bosses; print is dead! – we’ve heard it for books – the Kindle means anyone can distribute their own writing; publishing is dead! and we’ve heard it for music – bands should release their tracks online for free and make money from live gigs; record labels are dead! And always the same arguments: audiences and advertising money will follow talent, without need for intermediaries. It’s just a matter of time before stars like Conan realise this and then the rest will follow! It’s a great message; it’s just a shame that it’s also – and obviously – total horseshit. Let’s start by putting to rest the myth that audience follows talent. Howard Stern’s move from nationally syndicated radio to Sirius satellite might have made him a fortune, but it also lost him a huge chunk of his audience and almost all of his pop cultural influence. Likewise, the vast majority of high-profile bloggers who were given book deals have failed to earn back their advances through sales, despite publishers being certain that their millions of online readers would translate into book buyers. Those journalists who quit newspapers to go solo have struggled to pull in readers. And the idea that Conan’s audience will follow him online is equally ridiculous. The other reason he refused is that he understands that in the media the most important thing someone can have is not money or viewers or readers or listeners… but prestige: that X factor that makes people know you’re a star. Getting prestige isn’t easy – and that’s the point. We live in a world that’s full of people who want our attention and we can’t possibly filter all of them ourselves, so we accept that we need certain media gatekeepers to do the filtering for us. NBC is one of those gatekeepers: the Tonight Show spot is the very expensive jewel in their crown – a crown that can only be worn by one person. By choosing Conan to be that person, NBC immediately signals that he’s worthy of our attention. He’s a rising star. He has prestige. As a result, he gets paid a fortune and attracts a large fan base, not just on television but on the Internet and on any other medium he appears. It’s the same signal that’s sent out whenever a blogger gets a book deal, or an unsigned singer becomes signed to a major label or a local journalist is hired to write for the New York Times. We know that publishers don’t give book deals to everyone, the Times (really) can’t afford to recruit bad writers and record labels don’t hire people who can’t sing. So by being accepted by one of those gatekeepers, an author, or singer or journalist is granted prestige. They are a star. But the tricky thing about prestige is that it only works in one direction. Moving from obscurity to a prestigious job, or moving from a prestigious job to an even more prestigious job tells everyone that your star is in the ascendancy, that they should keep watching. But the moment you move even one step in the other direction – say by going back a less coveted time slot, or by switching to a less prestigious medium – it’s all over. All of your hard-earned prestige can vanish in months or even weeks. And that’s why Conan would be insane to leave behind television and move exclusively online. The Internet might have huge audiences and growing ad spending but it has zero prestige. Its greatest selling point is that it isn’t a gatekeeper; everyone is welcome. Anyone with a webcam, some cats and a Roomba can get a million viewers and anyone willing to spend a ton of money can produce a show that looks as good as the Tonight Show. And yet no matter how much money they throw at their video, or how many YouTube views it gets – no matter how Internet famous they become – they’re never going to be a star; not like Conan is a star. 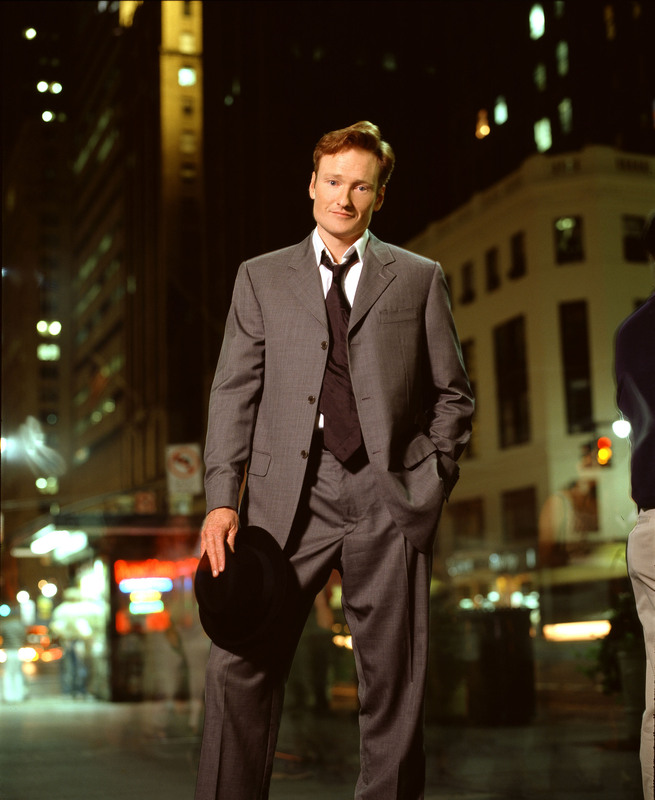 Likewise, by turning his back on the prestige that he has from television, and moving online, Conan’s star – and his associated ability to command large audiences and even larger paychecks – would fade in a matter of months. We might all claim now to be ‘With Coco‘ but before long our attention would drift away to whoever the gatekeepers decide is worthy of it next. And when that happens, Conan becomes just another ginger cat on a Roomba.